In 2004, Jane Jacobs published Dark Age Ahead, a sobering warning that North America in general (and Toronto in particular) was in danger of losing valuable elements of our culture. In the intervening years, her dire predictions have been coming true: families need help. So do small businesses, new Canadians and many other segments of Toronto society. “When human beings are nurtured, efficiencies and economies of scale don’t apply,” she wrote. “Helping individuals become acceptable and fulfilled members of a culture takes generous individual attention to each one, usually from numerous people.” But how can we as a city afford to give this kind of attention to everyone who needs it? About the time that Jacobs would have been starting to write Dark Age Ahead, a community worker with an unusual background was answering a small classified ad in the Toronto Star. Holding educational credentials in Early Childhood Education, Social Development Studies, and Business Administration, Anne Gloger already had experience bringing together churches, school boards, and recreation centres to create after-school programs in Kitchener, plus two years running the family resource program at the 519 Community Centre. It was perfect training for the founding director of what would become the East Scarborough Storefront/Centre for Connected Communities, a revolutionary model for service delivery in the underserved East Scarborough community of Kingston Galloway Orton Park. The first iteration of the project was a service-delivery hub in Morningside Mall. “In four years, it went from no money and me and a desk to 2005, when there were four of us with maybe $400,000 a year,” Gloger recalls. But the following year, opportunity came knocking in disguise when the primary funder changed its model and the Morningside Mall announced that it would be tearing down the building. This is when Gloger’s talents really began to be tested. A community design process brought together architects, planners, and designers to mentor local youth to redesign the building. Then the youth mentored adults in Tower Neighbourhood Renewal, a project to rethink the surrounding area, which now includes sports facilities supported by Maple Leaf Sports and Entertainment and the “Sky-O-Swale”, a shaded community gathering space that also collects rainwater for a green roof and a community garden. Today, the East Scarborough Storefront is still a hub for service delivery by numerous organizations, but it’s also pursuing further neighbourhood redevelopment, as well as economic development through East Scarborough Works, and youth engagement and empowerment through Sport for Change and KGO ACT. The through-line for all these activities is what has become known as the Connected Community Approach, a unique place-based approach to community development that focuses on leveraging a community’s assets for the good of the community. 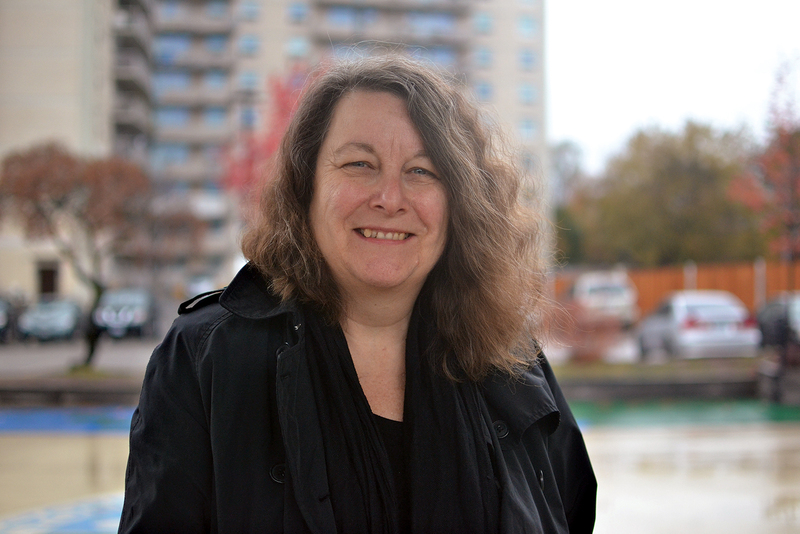 “The Storefront is more than a one-off, it is a model for how places can develop in neighbourhoods across the city and around the world that give the community a platform for self-determination,” says Margie Zeidler, creator of the vital art space 401 Richmond [disclaimer: Spacing is located at 401 Richmond].